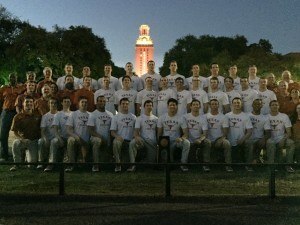 The University of Texas ‘Lit the Tower” on Sunday night in honor of the men’s swimming & diving teams’ 12th national championship. The NCAA Champions from the University of Texas outscored the 8 scoring teams from the Big Ten at the men’s NCAA Championship meet. 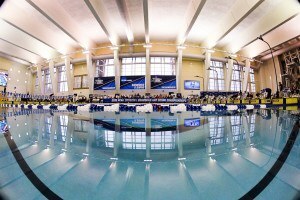 Georgia Institute of Technology- Atlanta, GA.
Of all the events with some great storylines heading into this week’s NCAA men’s championship, the 800 free relay may be the most intriguing. The schedule change is undoubtedly the most interesting aspect to this race. 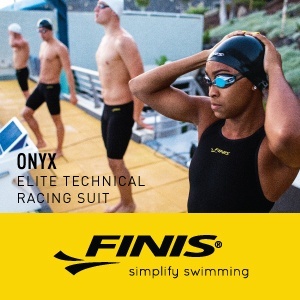 After untold ages of a three-day meet, the powers that be deemed it prudent to move the 800 free relay from the end of the day 2 (Friday) session, and have it be the sole event on Wednesday evening. 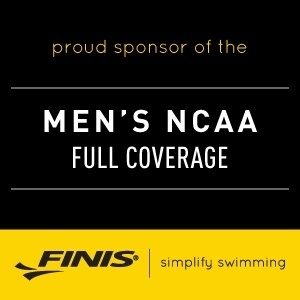 Traditionally, many schools swam this relay faster at their conference championship, where it was paired with the 200 medley relay, than at the NCAA championship, where anyone who had made the finals of the individual 200 free would now be swimming their third 200 all-out freestyle of the day. Case in point: in 2014, this Michigan relay set the NCAA and U.S. Open records with a 6:09.85 at the Big Ten championships, then the same four swimmers finished in 4th place at NCAA’s with a time of 6:16.37. 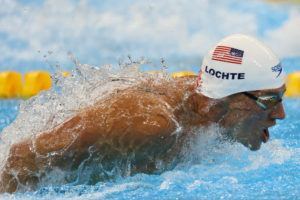 There is a twofold upshot to the schedule change: all the swimmers will be fresher, which should lead to faster times, and some stud swimmers who normally wouldn’t find themselves on this relay at the of day 2 are now much more likely to swim it, providing a boost for a few teams whose best swimmers don’t necessarily compete in the individual 200 free, and providing an interesting wrinkle that makes it a little more difficult to predict how teams will end up faring under the new system. Anyone who’s been following men’s college swimming over the past few years is already familiar with the plight of the NC State Wolfpack: meteoric rise under Coach Braden Holloway, built around sprint freestyle relays, but still waiting for that elusive first relay championship. Well, this could be the year, and, somewhat surprisingly given their strength in the 200 free relay, this could be the relay that does it for NC State. Three different men — senior Simonas Bilis, junior Soeren Dahl, and sophomore Ryan Held — were under 1:33.0 in the individual 200 free at ACC’s. Freshman Justin Ress swam 1:34 in both the relay and the individual 200 free. Given those individual times, the Wolfpack have the range to be able to go faster than their 6:12.76 seed time. However, in order to get that championship, they’re going to have to go through the Texas Longhorns. 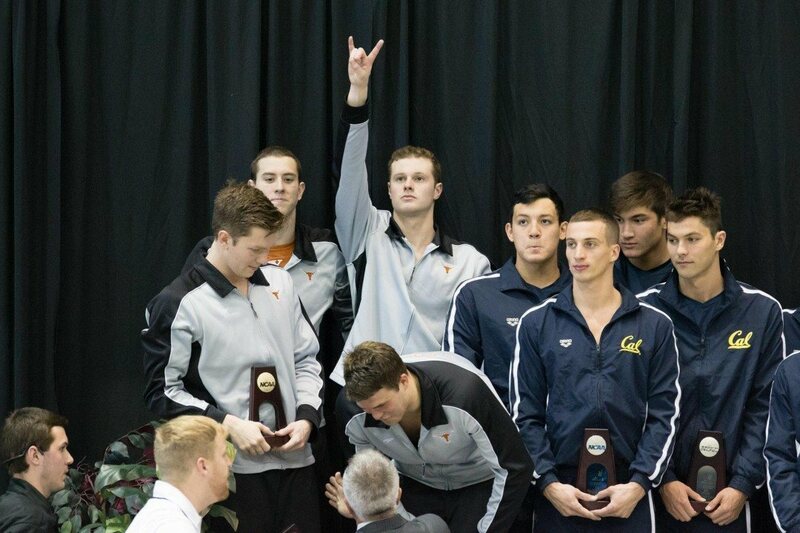 If the Wolfpack swimmers are the eager up and comers, the Longhorns are the steady farmhands. They sit almost two seconds behind NC State on the psych sheet, with a 6:14.79 from the opening night of the Big 12 championships. All four are pretty big names, and with the new schedule, we expect to see all four on Texas’s relay tonight. Junior Clark Smith and freshman Townley Haas are the two traditional mid-distance/distance swimmers on the squad. Both come in with lifetime bests of 1:33-low in the individual event, and should be able to easily go 1:32-mid or better on a relay start. The schedule change also allows junior Jack Conger and sophomore Joseph Schooling to get on this relay. Conger swam it his freshman year, but was left last year when Texas elected to have him swim the 100 fly/back double instead. Conger’s personal best time is a 1:33.64 from his freshman year, and given his improvement in his other events since then, he should also be flirting with that 1:33 barrier on a flat start. 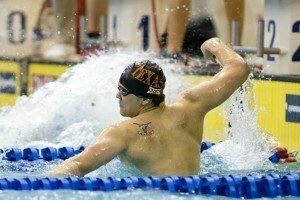 Schooling dropped the 200 IM this year, and will presumably be on all five Texas relays. He anchored this relay in 1:34 at Big 12’s, and has a lifetime best of 1:47.79 in the long course 200 free, so he projects to be right in the same time range as his Texas teammates. Schooling is already a lock to represent Singapore in Rio this summer, and the other three Longhorns all have aspirations to make the USA team, so this event will serve as a bit of a barometer for Texas for this meet. If they come ready to play, these four have the potential to go 6:10 or better. If they falter a bit on this relay, it could be the proverbial canary in the mine sounding the alarm that with a focus on this summer, the Longhorns still probably have the best team in the country, but may not throw down the otherworldly results they’re capable of. We jumped ahead slightly in the seedings to talk about Texas, but it’s actually the Florida Gators who have the 2nd-fastest time in the country heading into this week. Like Texas, their SEC-winning relay consisted of two men who swim the 200 free individually, and two who are just all-around great swimmers. Senior Pawel Werner and junior Mitch D’Arrigo both swam on this relay last year at NCAA’s, as part of a squad that swam over four seconds slower than it was seeded. Sophomore Mark Szaranek is an IMer who split 1:33.13 at SEC’s. Fellow sophomore Jan Switkowski has had a huge breakout year since transferring from Virginia Tech, and anchored this relay at SEC’s in 1:32.73. There is some chance that the Gators could use stud sophomore Caeleb Dressel on this relay, but he probably doesn’t provide enough of an upgrade here to justify pulling him off any of the other four relays. Louisville came in 2nd at ACC’s last month with a 6:14.96 — that’s five seconds better than their best time from last season, and over seven seconds better than their time from last year’s NCAA’s. Three of the legs from last year are still the same, and they got a big boost by using backstroke star Grigory Tarasevich, who split 1:32.39 at ACC’s. Juniors Trevor Carroll and Mathias Lindenbauer will be swimming on this relay for the third time at NCAA’s, and it’ll be sophomore Jonathan Zoucha’s second time. The Cardinals tend to peak at ACC’s, but if they can hold their time from last month, that should be enough to keep them in the hunt for a top 8 finish tonight. Only one swimmer remains on Michigan’s relay from the aforementioned 2014 squad, and that’s senior Anders Nielsen. Individually, he has the 2nd-fastest time in the country, and that’s his 1:32.36 lead-off from the Big Ten championships. Junior Jack Mangan and senior Dylan Bosch return from last year’s NCAA team as well. Mangan is a middle-distance guy who should be a lock for a 1:33-mid or better. Bosch is an IM/fly type who’s capable of providing a reliable free leg here. 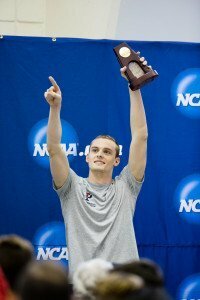 He only went 1:35.24 anchoring this relay last year, but that was after swimming the 400 IM twice that same day. He split 1:33.41 last month, and with the schedule change, he should be the same or better tonight. Mokhtar Al-Yamani split a 1:35.63, but if Michigan elects to go instead with with senior Peter Brumm, who’s been 1:33.62 individually this year, that’ll provide the Wolverines with a couple second bump from their 6:15.04 seed time. Auburn finished 10th last year at NCAA’s, and sits 6th on the psych sheet, with a 6:15.59, that time coming from a 2nd-place finish behind Florida at the SEC championships. Junior Joe Patching led off in 1:34.85, then sophomore Hugo Morris, senior Arthur Mendes, and junior Kyle Darmody all split 1:33s. All four swam this relay for the Tigers last year at NCAA’s. 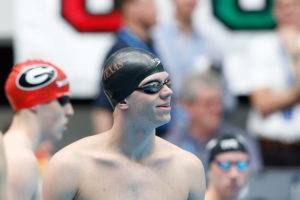 Blake Pieroni made the championship final of the individual 200 free at NCAA’s last year as a freshman, and he remains the centerpiece of Indiana’s relay. A pair of juniors, Anze Tavcar and Jackson Miller, also return from last year’s 800 free relay. Miller outsplit Tavcar by about a half a second last year, but Tavcar has been 1:33.72 individually this year, while Miller has been just over 1:35. Yet another junior, Max Irwin, joins this relay this year, and he split 1:35.31 anchoring at Big Tens, as the Hoosiers finished second to Michigan in 6:16.28. 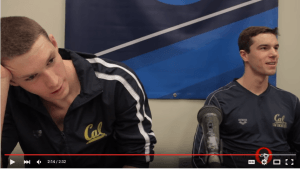 The California Golden Bears are seeded 8th, and they are one of the teams that have some really intriguing options that makes it difficult to predict where they will end up. Senior Trent Williams and junior Long Gutierrez are the two certain legs for the Bears. Williams has been part of Cal’s NCAA relay the past three years, and should be a lock for at least a 1:33. Gutierrez has also been a part of this relay his whole career, and has had a breakout year, swimming a 1:33.10 to lead off this relay at the UGA Fall Invite, where Cal’s seed time of 6:16.41 comes from. The Bears have at least four other options for the other two spots on this relay. They could opt to go with Ryan Murphy, one of the best all-around swimmers in the nation, but he’s probably more needed on all four other relays. While recruited primarily as an IM/fly/breast type, freshman Andrew Seliskar swam on this relay at both the UGA Fall Invite and at Pac-12s. He split 1:35.01, but a lifetime best of 1:43.64 in SCM indicates that he should be able to go substantially faster than that. Last year Jacob Pebley jumped on this relay at NCAA’s and split 1:34.46, while sophomore Kyle Coan, split 1:33.75 at Pac-12s. At least two more teams have a solid shot of finishing in the top 8. USC lost two big pieces from last year’s NCAA-winning relay, but returns junior Reed Malone, who blasted a 1:31.59 anchor to deprive NC State of the win in this event, and is seeded just behind California with a 3:16.77. Georgia lacks traditional mid-distance guys other than senior Matias Koski, and will need big swims from Jay Litherland and/or Gunnar Bentz could push them up from their #10 seed (6:17.40). Dark horse: Wisconsin (12th seed) has two very solid legs in Brett Pinfold and Matthew Hutchins. If they can get any more out of their other two legs and improve their 6:18.27 see time, the Badgers have a shot of moving up and possibly nabbing a top 8 spot. 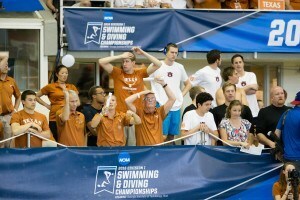 Nc state has a great relay but they need a 4th 1:32 to compete with Texas. Texas by 2-3 seconds. I wouldnt’ putt it past NC State to to make this race a close race however or even sneak in for the win. 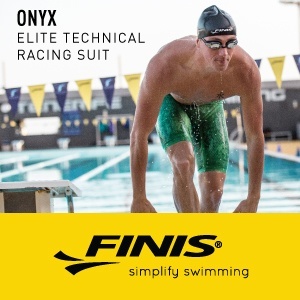 I can definitly see a 1:31 from Billis and maybe from Held since they where not fully taper and shaved at ACC’s. Expecting this to be good race and close contest but see the Wolfpack coming on for a close win.